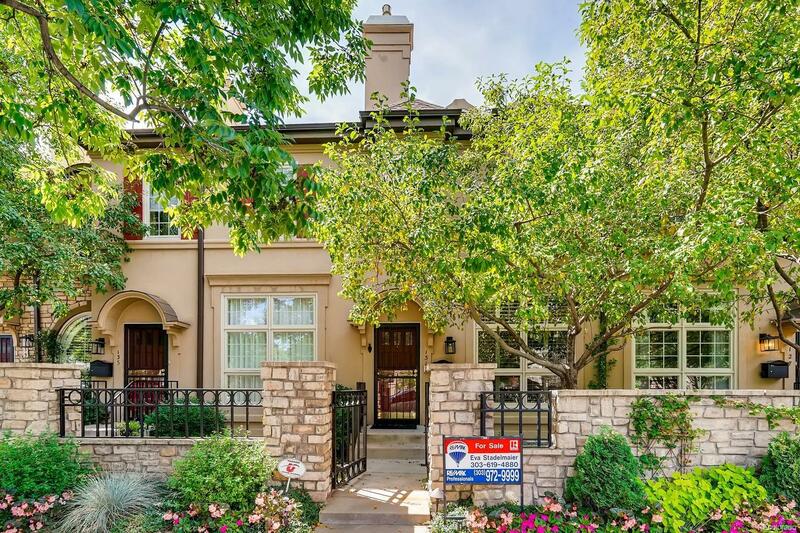 Gorgeous 4 Bed/4 Baths in Cherry Creek. Walk to shops and dining. This superb townhouse offers a 2 car garage, finished basement with a guest suite, full bath and fireplace. Plenty of storage~Central Air~Updated Kitchen with Stainless Steel Appliances~Natural Light~Peaceful Patio~Hardwood Floors~Surround Sound~Walk-In Closets~Skylights~Alarm System~2 Fireplaces~Impeccably Maintained!